ICO JWC ( Blockchain Ventures ) is just startup recently in the coin market, people may not hear of it because JWC is more quietly than other ICO but this is very potential and worth to invest in. 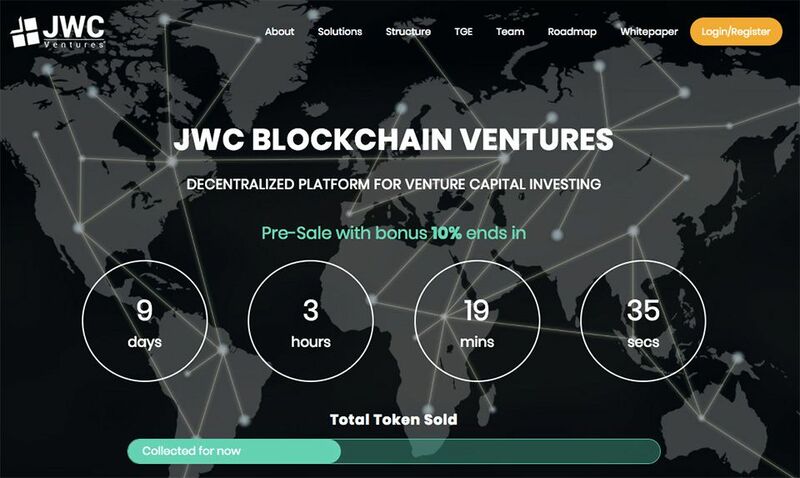 _Team Dev of JWC Ventures is indeed a big name in the venture capital field, and they have a lot of strength in Blockchain knowledge in general, and other areas of the technology industry. private. After ICO, the only job of JWC Ventures is to find the best startups that are working on the Blockchain model to invest. They do not do anything other than this, which is very different from regular ICOs so JWC will have more time to choose the most promising startups.